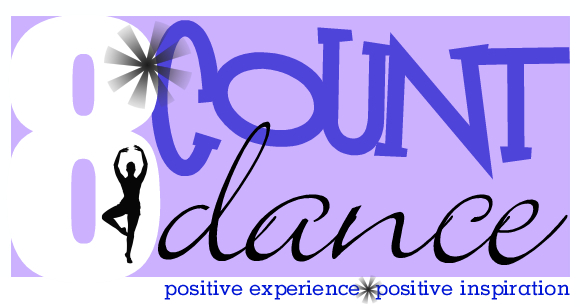 Thank you for choosing to dance with 8*Count Dance, a Positive Experience and Positive Inspiration for your student. Class & Supply Fee is to be paid on or before the 1st day of class to 8*Count Dance. If you have not paid Class or Supply Fee on or before the 1st day of class a $5 late fee will be added weekly until paid. All communication will be sent via email from 8*Count Dance to the email address(es) you have listed on your account. All registration fees for classes will be processed on Friday of that week at 5pm until the 1st day of class. Once the session has started, transactions will be processed daily. As the legal parent or guardian, I release and hold harmless 8*Count Dance, its owners and operators from any and all liability, claims, demands, and causes of action whatsoever, arising out of or related to any loss, damage, or injury, including death, that may be sustained by the participant and/or the undersigned, while in or upon the premises or any premises under the control and supervision of 8*Count Dance, its owners and operators or in route to or from any of said premises. The undersigned gives permission to 8*Count Dance, its owners and operators to seek medical treatment for the participant in the event they are not able to reach a parent or guardian. I hereby declare any physical/mental problems, restrictions, or condition and/or declare the participant to be in good physical and mental health. I request that our doctor/physician be called and that my child be transported to the nearest hospital. As the legal parent or guardian, I hereby grant 8*Count Dance, permission to use my child's photograph in any and all publications related to 8*Count Dance, including web site entries, without payment or any other consideration in perpetuity. 8*Count Dance is committed to online security. You can rest assure your payment and personal information will not be shared with anyone. Your personal information is for 8*Count Dance use only. We will use this information for newsletters, important handouts, etc. that is important for our parents and students to be aware of. Tuition is due by the first class. Tuition not paid after the first day of class will incur a $5.00/week late fee. If tuition isn't paid by the end of the 4th class, your student will not be permitted to attend that class for the remainder of the session. You are responsible for all tuition, fees, payments, etc. Debit/credit cards (VISA, MasterCard & Discover) and cash are accepted. Only cash will be accepted when paying in person. Class & Supply Fee is paid to 8*Count Dance before or on the 1st day of class. Hair must always be pulled back into a ponytail or bun before class. NO bangs in face; please pin and hairspray them back before class. A leotard, tights and skirt or athletic shorts/pants over the leotard is recommended and preferred. Occasionally, a t-shirt and athletic/jazz pants will be acceptable. Absolutely NO JEANS allowed! Proper dance shoes must be worn at every dance class. 8*Count Dance reserves the right to have students who come late, sit out and watch. Stretching is done right at the beginning and if dancers are not properly stretched, they can severely hurt themselves. A minimum attendance level is required. If a dancer misses 2 or more classes per session, the student may not be allowed to participate in the recital. 8*Count Dance reserves the right to provide a substitute teacher if the regularly scheduled teacher is ill or otherwise unable to teach classes. If a teacher is ill and cannot arrange a substitute, the missed classes will be made up.